Why choose a fiberglass flagpole? Strength:Tensile strength is equal to that of aluminum (50,000 lbs per sq. inch). Safety: Unlike aluminum, fiberglass does not conduct electricity. It's also lighter and easier to install than it's equivalent aluminium pole. 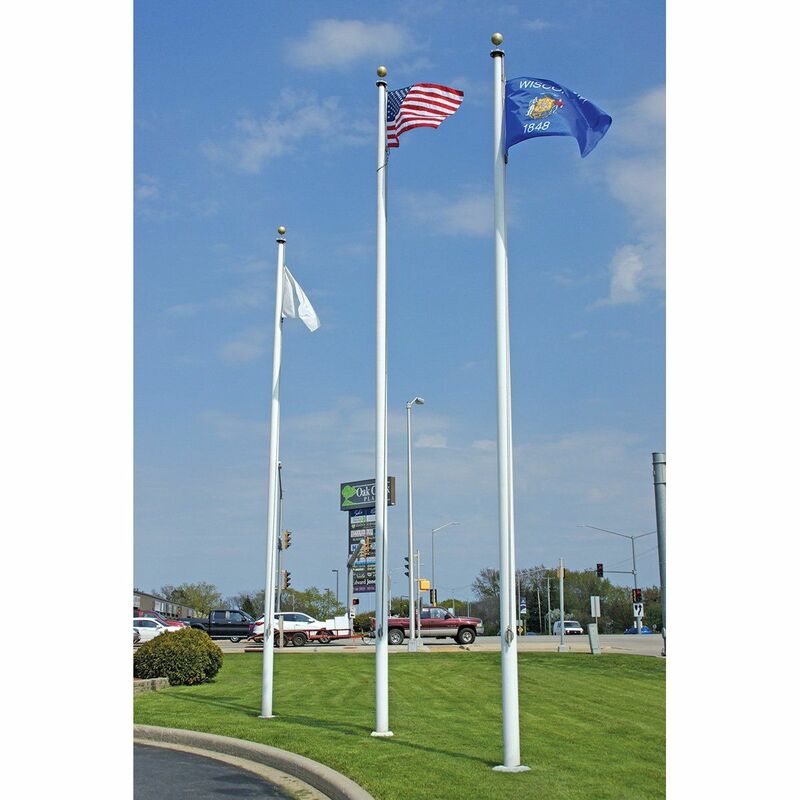 Appearance: Our fiberglass flagpoles are finished with a thick layer of UV resistant gel coat which protects the flagpole from discolouration and detirioration caused by moisture, sunlight, salt and pollutants. Within months, when exposed to the elements, a standard satin brush aluminum flagpole will oxidize and begin to discolor. Performance: Fiberglass will perform equally to aluminum in all climates. We stand by our products' performance with a twelve year warranty on the flagpole shaft. AmericanFlags.com carries fiberglass flagpoles in lengths of up to 40' and with internal and external halyards. Internal halyard assemblies (No ropes on pole exterior) generally cost more, but look better and help limit flag theft/vandalism.